Knowing how to get a pre-owned car or truck can make or break your pre-owned car buying experience. You’ve chosen the make and model you need and now you’re good to go to bring that ‘new’ car, truck, or SUV home. Yet the price-tag on your pre-owned car might not seem really budget-friendly. Have no concern, there is a way to save some cash and also still take your preferred vehicle home: buying a pre-owned vehicle. Utilized car, truck, or SUV purchasing can be a little bit tricky when compared to brand-new automobile purchasing, and you may need to do some homework. Even though buying a pre-owned car, truck, or SUV might appear to be the best affordable decision, it can be risky if you don’t select a reputable resource to purchase your vehicle. So, to aid you with the steps in discovering the ideal pre-owned car, our specialists have put together a checklist of top ten important ideas to respond to the concern “How to get a pre-owned automobile”. How Does One Get The Top Deal On A Pre-Owned Car or Truck? While older automobiles generally include a lower cost, these vehicles can often need pricey attention from your mechanic sooner rather than later. Fortunately, there are many trusted online sites that offer essential automobile info for your research such as a vehicle’s background, regular issues, repair service prices, and anticipated pre-owned service warranty protection. Equipping yourself with these details will aid you in setting a budget for your pre-owned car purchasing. The certified pre-owned (CPO) option is generally the most effective value. CPO cars, trucks, or SUVs are cost effective as well as trustworthy as a result of their comprehensive mechanical evaluation and because they are backed by the manufacturer’s factory certified tag and guarantee. The majority of CPO vehicles come with low-mileage, have a good service and a clean title record, and also were just a couple of years in usage. It ought to also be noted that most car dealerships offer lease-returned cars, trucks, or SUVs as CPO cars with the manufacturer’s warranty. The dependability rating for a CPO car, truck, or SUV is always higher than the scores of non-certified previously owned cars, trucks, or SUVs. While CPO automobiles might seem costlier than the non-CPO ones, you can not neglect the advantages of an extensive service warranty and various other advantages that the automaker supplies with a CPO program. Our specialists highly suggest you extensively research study your pre-owned automobile resource to avoid any kind of unexpected and undesirable as well as unforeseen shocks for your pre-owned car acquisition. Picking the right car does not just finish after you choose the make and model. When you are intending to purchase a previously owned car, truck, or SUV, you need to take several other aspects into your consideration. For this step, our specialists advise this four-step “C4” formula. The first step is to choose your automobile. Based on your needs, budget plan, and interest, you need to select an automobile initially. While the internet is a wonderful option to do the preliminary research study, we always encourage buyers to examine the previously owned car, truck, or SUV choices at [dealership name]. While selecting previously owned vehicle, check if the automobile’s mileage has fewer than or has no more than 12,000 miles. Cars, Trucks, or SUVs with around this advised amount of mileage are generally believed to be the very best pre-owned choices. In the long run, you should select an automobile that best suits your needs, holds its predicted worth, and has reduced maintenance and insurance expenses. Now that you have the car, truck, or SUV selected and its price information in mind, you can continue to the next action of physical assessment. A third-party assessment is the most-recommended option to get the vehicle pre-checked. Based upon the mechanical inspection results, you can choose to get the vehicle repaired on your own or bargain with the seller to fix any problems prior to wrapping up the bargain. An additional crucial thing to examine is car, truck, or SUV’s history report. By using the VIN, you can check the car, truck, or SUV’s background on Online Resources like CarFax or AutoCheck. Accessing the car, truck, or SUV’s health based on its model year and gas mileage also provides you a better picture of the car’s real worth on the market. This will place you in a better position for a reliable rate settlement when negotiating with the seller. Once you have settled and intend to get that pre-owned car, truck, or SUV, call [dealership name’s] sales staff for further information. Unless you have a surplus of money in your account to buy your chosen car, truck, or SUV, you will certainly need to look for financing options. If you are buying from a dealer, you’ll have accessibility to the dealership-offered car loan options. Most dealerships offer the optimal financing offers on pre-owned car-purchasing deals. If somehow you determine not to go with the dealership-offered financing selections, check neighborhood financial institutions, internet-based financial institutions, credit unions, and other funding companies for the very best prices on auto financing offers for a previously owned automobile. Here are some fast pointers to prepare for pre-owned car financing. Taking a test drive is definitely an important action in any kind of car, truck, or SUV investment. This is especially true when investing in a pre-owned vehicle. Also a brief test drive can assist you access the car’s mechanical condition rapidly and conveniently. If required, you can obtain the car totally checked by an expert auto mechanic during your test drive. We highly recommend customers pick a test drive route with curves, unequal roadways, city roadways, and freeways to see how the car performs on all roadway types. Step-7: Price Your Vehicle: How do I get the very best price on a pre-owned automobile. Negotiating for the best purchase price might sound hectic, but it does not have to be if have actually done your homework well and know the approximated market price of the vehicle. Research, contrast, and do not hesitate to work out to obtain the very best price. Step-8: Add-ons: insurance coverage, service warranty, and service. If you’re buying from a car dealer, the financial supervisors will certainly offer you selections of added products or services bundles. Some of the most prominent options are the manufacturer’s extended service warranty, automobile insurance plan, and car dealership service bundles. Before you finalize and close the deal, you ought to definitely think about any extensive warranty choices on your pre-owned car, truck, or SUV. To seal the deal, you need to authorize the automobile purchase arrangement, and take the vehicle home. This is when you should make the down payment as well as obtain a temporary title. Before signing the paperwork take your time to read the terms and conditions and evaluate the contract completely. Likewise, make certain to sign up the car in your name within 10 days from the purchase date. When in doubt, check your state’s registry site for additional information. Congratulations! Now you’re the official owner of a ‘new-to-you’ previously owned car, truck, or SUV. 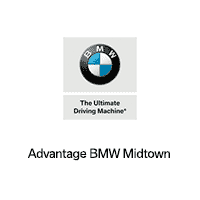 With this detailed “How to get a pre-owned automobile” guide, you can now easily search, pick, as well as get a new-to-you pre-owned car without much inconvenience. When you are all set, give us a phone call for additional information on the special incentives offered on our unbelievable supply of previously owned and certified pre-owned cars, trucks, and SUVs.